So.. last week’s weigh-in was TERRIBLE. For a TWO-WEEK period, I lost only -.4 lbs. Yep, that’s only .2 lbs lost each week. You can imagine my devastation. Here’s a secret about weight loss that I’ll share with you. You know, just amongst friends. When I don’t lose weight, I know EXACTLY why. It doesn’t take me long to remember the sample Magnum Ice Cream Bar I nibbled on at SuperTarget, or the yummy Popchips I ate at the Orlando Airport (even if I threw over half of the bag in the trash). HONEST! Now my frustration was that I wasn’t participating in this program properly. Nothing like half-assing things and then being mad at yourself. My JCC wanted to “talk through it” but it wasn’t anything she could help me with… just something I needed to do. As you know, if you do the program, you lose the weight. It’s as easy as that, and I wasn’t doing the program. As a result, I’ve become recommitted to Jenny Craig… I need to eat right, weigh in weekly (as opposed to every 2 weeks), and workout when I can! This week, I have been more diligent than I’ve been in some time! I’ve been eating the breakfast, eating a Subway Veggie Sammie for lunch, and JC for dinner all the way! Overall, I’m pretty impressed with myself! AND… We all weigh in during the week, right? I check my scale every day or so to make sure I’m where I want to be… I SWEAR, I saw it DOWN -3 yesterday! Oh my goody goodness! If I could be down -3 this week, that would be ridiculously fabulous! Hell, I’ll take two! VERY good place.. I felt like I was out in the wilderness for real! 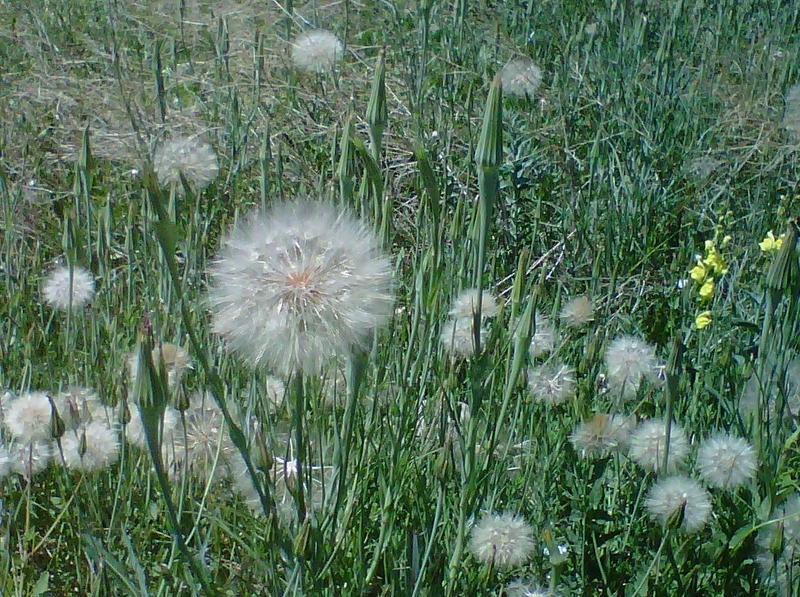 Lots of pretty wildflowers, prairie dogs, and the BIGGEST dandelion I’ve ever seen! 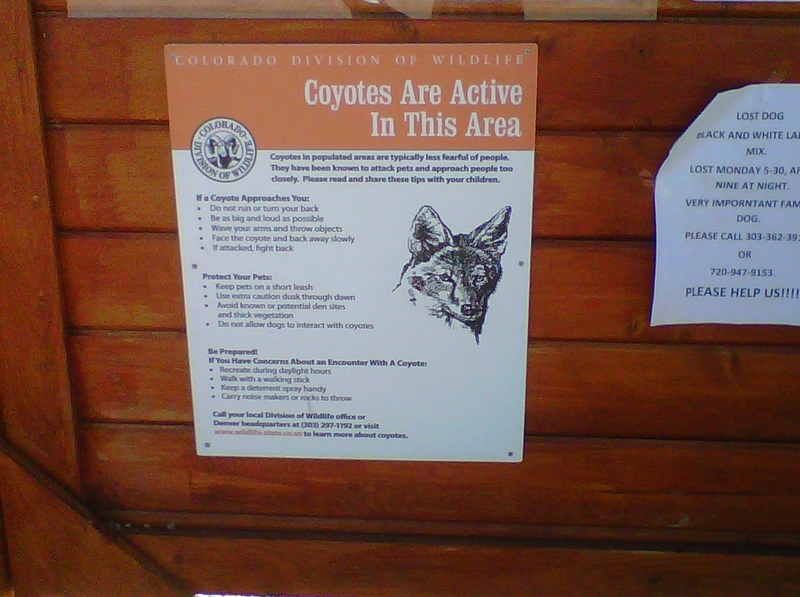 There was even a sign at the trailhead saying to watch out for coyote, which was a little unsettling. Especially when it included instructions for what to do if attacked! Eeks! PS… If attacked, fight back!?? Who writes these warnings?? 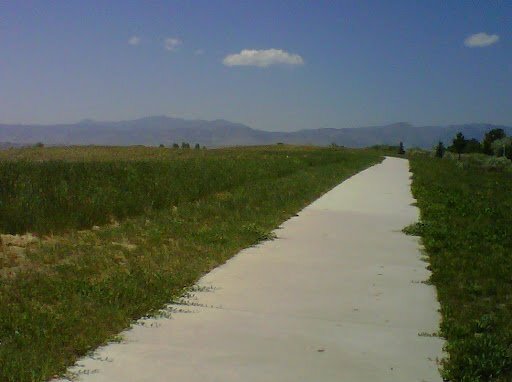 Ok, tomorrow’s the big weigh-in day… let’s just hope this trail-walk + my good eating this week will result in something good on that scale! Previous Post: « Thank Gooey Gooey Goodness!